Credo Coffee — Delicious coffee. Open until early evening. You really feel like you’re in some hipster section of Seattle when you enter this coffee shop. You pay “what you’d like” for your drinks. They take whatever you feel the coffee is “worth” here. Gazing at pictures of Free Trade beans & Central American farm children, however, I always seem to pay more than if they’d just charged me. There’s a delightful array of indoor plants and tables of various heights. The local iOS devs gravitate towards this place, I’ve found. It’s a bit of a local techie mecca—in a nice way. Always enough seating. No food, except for delicious (quite sugary) raspberry bars or one or two random cakes. Around the street is a cool vintage clothing store called D’Echoes. Worth a look! Pros: BEST ARRAY OF INDOOR PLANTS, NEAR COOL VINTAGE SHOP, FUN MUSIC. It’s got a really homey feel that’s trashy in a cozy way. I’ll happily set up a computer and just work remotely here all day. The barista seems to “reset” the internet every hour, which drives some people nuts. But it’s got the best iced coffee in town. Careful though, it packs a punch. So if you’ve been meaning to take on a huge project, drop in for a iced coffee here and you’ll be revved up. (I go for half-sweet-half-unsweet.) My out of town friends say the iced coffee make then a little jittery. It’s my favorite anywhere. There’s nothing really pretentious about Austin’s, which I love. As far as the vibe goes, the homeless people blend with the hipster types. And it’s not people trying to be cool, it’s people who just genuinely are who they are. When high school gets out around 3pm, the wave of those girls usually does drive me away though. It gets pretty crowded at night, and they are open all night long. Stop in for a piece of their delicious peanut butter pie (always split it, you’ll be sick if you eat a whole slice) at any hour of the night. They’ll also have some kind of soup to sell you at 4:00am if you’re up that late for some reason. It’s nice they let local bands play here and kinda take over the joint sometimes. It’s convenient and appreciated to invite 40 friends to drop in and hear you jam out. They constantly show movies all day in the background, some great, some comme ci comme ça. Chairs are a little hard for all-day work meet ups. But all-in-all, this place is a gem. Note: Not sure why, but if you’re reading there at night, might want to be reading on an iPad. Fun for ambiance. Pros: BEST FOOD, SPACIOUS SEATING. Fail. Just because the French tarts are awesome doesn’t excuse this. However, it’s great for a book reading day, or grabbing a croissant and heading straight to the park. But all in all, we avoid a no-wi-fi coffee shop unless it’s to catch up on Dostoyevsky and avoid work. Note: Somehow Disney seems to bus in all the workers from Epcot to spend the day here. It’s rather entertaining to meet the latest Epcot staff transfers from Japan, China and Norway. But usually it’s the elderly and wandering tourists. Sandwiches are okay, not to die for. A chain. But they do make a good cappuccino. And their black bean soup that they serve at lunch is quite nice. Aaaaannnd the cute sidewalk cafe vibe is rather charming. 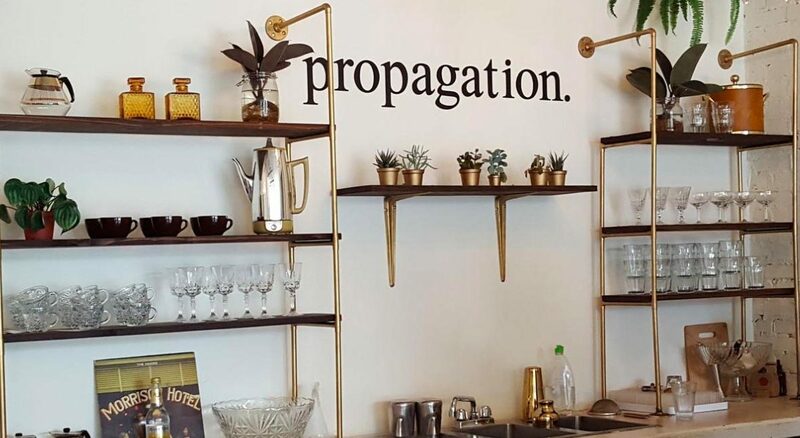 If you’re taking your grandmother out for a coffee, or you want to take you mom somewhere that is a coffee shop with an actual waitress who serves you — you might like this place. The courtyard seating is rather adorable. You won’t feel comfortable sitting here to work for hours on your laptop however. It’s not a place to park yourself; it’s good for an hour or two. Pros: CAFE VIBE, COURTYARD SEATING. Not sure why, but this place never seems that homey to me. I am never sure if I’ve overstayed my welcome. Iced coffee is good, and it’s a favorite with local designers…or at least they always seem to want to meet up here. I wasn’t sure if I should add this, since it’s veering into the “sandwiches & tea” section. (More later on that!) However they have great teas, if you prefer tea over coffee. And the sandwiches are to die for. Not sure if I’d really hang out here for a long time. It’s more a get-it-to-go place. Pros: DELICIOUS TEA & SANDWICHES. I love the clean feel of this place. Definitely a morning pick for me. Nice fresh white vibe to chill and get your early to-do list done. The vintage furniture has a Mad Men vibe. It’s a tough split between Stardust & Credo. Usually, it’s Stardust if I’m hungry (tempeh tacos are so good!) and Credo if I’m not hungry & just want to get wildly productive on something or hangout with a good book. Stardust Coffee & Film — Wonderful coffee & food. Lots of space for hanging out. Turns into a bar at night & gets a little dark for reading. Agreed! Stardust always has plenty of seating too. Easy to find yourself a place to chill in the corner alone or have a large table filled with friends. Love the post Vi! That barnies finally has santas white xmas lattes! So delicious! Thanks so much for this post! I just moved from Brooklyn, ny to Florida (not by choice ha) and I still haven’t found a hip/chill place to just go to. I haven’t gotten the chance to make friends yet but don’t want to stay at home. I’d love to find a place I can go to alone and read a book without being judged or stared at strangely for being solo in a social setting. Would you say credo or stardust are definite locations I could go to alone without me feeling awkward!? I’d love any feedback thank you! Either Credo or Stardust would be nice. Stardust does not have couches, but it has lots of nice tables made from old doors and plenty of space. Credo is a little more intimate. Both would be nice places to plop down with a book. 🙂 try them out! Park Ave (winter park) is nice too for reading, if you want to be outside. Bring a book and just relax there on a bench or lay out on a blanket.